Home K-star Style Beauty Let’s brighten and liven up your skin which survived the scorching heat! Let’s brighten and liven up your skin which survived the scorching heat! [by Woo Ji An] The skin which endured the hot UV rays and the humidity is still in pain to survive the severe temperature difference between night and day. It’s not only in summer when the UV rays can damage your skin. During fall, the UV index is high because there is no clouds and although the sun is shorter, you still need to take special care of blocking the harmful UV rays as much as the summer. If golden skin that is tight and full of volume is the symbol of summer, many women still prefer pale and fair skin. 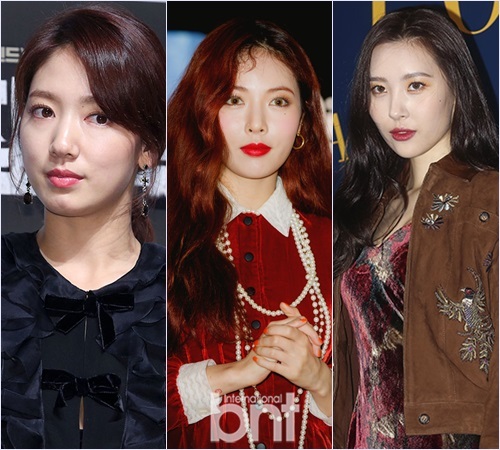 Park Shin-hye, Hyun-a, and Sunmi, who recently appeared at official events, received camera flashes with flawless and smooth skin. How do you manage to produce a bright skin like you have a reflector in front of you? Here are some beauty tips for fall whitening care. Park Shin-hye, who boasts an immaculate skin without any spots and troubles, has mentioned water intake as a secret of her skin care. In addition, she also stimulates blood circulation of the skin with lymphatic massage during makeup cleansing. Moisture cream as well as always keeping hydration of the skin is the core of her skin care. Like Park Shin-hye, you should take special moisture care such as applying multiple thin layers of cream during skincare stage since it is easy to loose moisture during fall. Hyun-a, owner of immaculate skin that seems brighten up her surroundings, shared she uses double cleansing system with mild and less irritating cleansing oil and cleansing foam for fair and clean skin. For women, it is advisable to use a cleansing product that is appropriate for your skin type, as the makeup residue left behind or waste and dirt that wasn’t cleaned in time and create black-head and white-head to make your skin dull. For flawless skin, moisturizing whitening essence should be applied in the morning and evening, followed by moisturizing cream to finish the skin care. 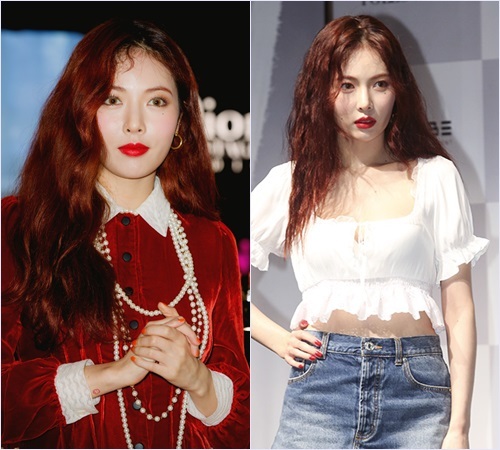 Sunmi is a perfect representative of fair skin. 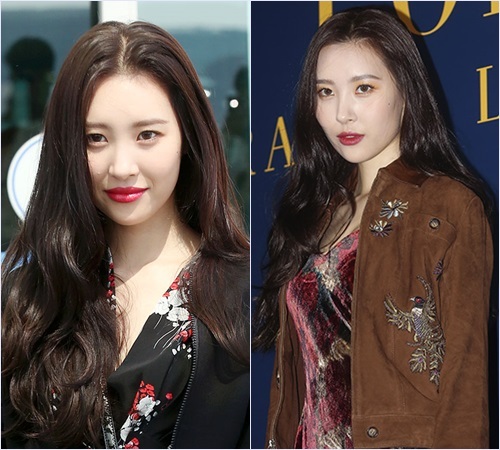 Recently, her better than perfect skin creates perfect skin finish and makeup so all of the cosmetic products used by Sunmi has been selling out across the country. The key to whitening care is the consistency. Spend about 10-15 minutes daily before putting on the makeup or falling asleep with a mask pack with whitening effect. 01 Adaline Keep Cool Shine Mask (Ice Cream Pack)- A whitening care mask pack that combines a pearl extract and a vitamin complex to lighten dark, dull skin tone and give skin elasticity. 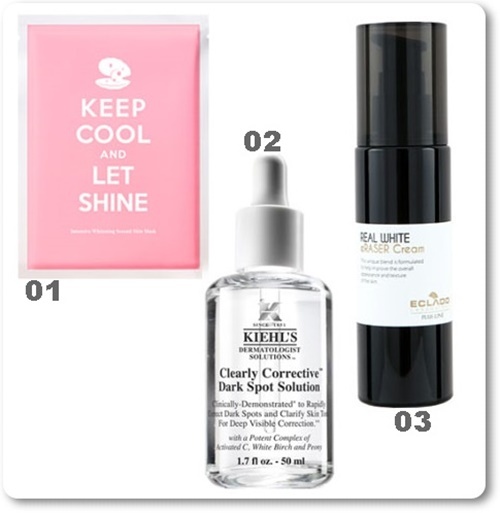 02 Kiehl Clearly Corrective Dark Spot Solution- Takes care of the formation of dark spots, and contains activated C, white birch extract and peony extract to take control of even the hidden dark spots. Previous articleBIGBANG’s T.O.P back on Instagram for the first time since his controversy.